The Education, Culture and Youth Diakonia Committee is a steering committee established under the guidelines of The Greek Orthodox Metropolis of Atlanta. Our primary goal: to assist the Priests and the Parish Council in improving the organization of our church community. The Education, Culture and Youth Diakonia Committee will function in much the same way as the Board of Education does in our public schools; that is, the committee will develop programs and policies and provide the means to assist the Priests, Parish Council, teachers, youth advisors and volunteers in our community. Assist with updating the parish master calendar for each ecclesiastical year. Maintaining communication with all ministries of Holy Trinity. Quarterly meetings consisting of all ministry chairpersons. Each ministry or committee shall submit an outline describing Purpose, Goals & Mission statement. Calendar of events or fundraisers (to be included in master calendar). Define and evaluate the educational, cultural and youth related needs of our church community. To promote an efficient and organized church structure through communication and technology. Contact – to learn more. The Improvements Renovations and Repairs Committee, which is also referred to as the IRRC, functions as the stewards of the grounds and buildings located on 600 East Blvd as well as the Church Senior Center property. As the name implies it is the committee’s responsibility to work with the clergy, parish council and parishioners on improvements, repairs, renovations and maintenance of the Cathedral, Father “C” Hall, Offices, Classrooms and the grounds. Past projects include the construction of the brick fence, repair of the cathedral roof drainage, the master plan followed by long range planning survey, repair of the preschool classroom exterior wall, Fr. “C” Hall bathroom renovation, updated office flooring, Fr. “C” Hall lighting, the social room renovation, new double rack oven and most recently the new composite floor in the Fr. “C” Hall. The IRRC is currently working on timeline and budgets for projects outlined by the master plan and survey. These projects include: the courtyard renovation, the Cathedral phased expansion, the Cathedral chiller/boiler replacements, preschool bathroom renovation, new energy efficient lighting for the classrooms and offices, office lobby renovation and Fr. “C” lobby renovation. These projects range from small to large, but each is important to the continued growth and care of our Church.  Our Hellenic Park on McKee road has been the property of the Holy Trinity Cathedral for the past twenty-five years. The Hellenic Park Committee in less than a year has made great strides in the progress of developing the Park into a project that we can all be proud of.